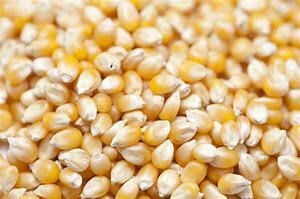 Cornmeal comes from yellow or white corn that has been ground to a coarse powder. Cornmeal is different than masa, because it has not gone through the nixtamalization process (being soaked in a lime water). It has several nutrients and a great to use along side other gluten-free flours. How To Make Your Own: Take dried popcorn, place in high output blender, food processor, or coffee grinder and grind until fine. Click on the images below for purchasing options. Please note Amazon Affiliate product disclosure HERE. 1. Preheat oven to 400 degrees F. Coat a 9x9-inch baking dish with nonstick cooking spray. 2. In a large bowl, combine gluten-free flour, cornmeal, sugar, baking powder, salt, egg, avocado oil, milk, and corn and mix well. Pour into baking dish. 3. Bake 20 to 25 minutes or until top is browned and a toothpick or fork inserted into the center of the pan comes out clean. Feel free to print it off by clicking the PDF file below and add it to your recipes! Disclaimer: The entire contents of this website have not been evaluated by the Food and Drug Administration. This website, any information and any products on this website are not intended to diagnose, treat, cure or prevent any disease. If you are pregnant, nursing, taking medication, or have a medical condition, consult your primary care physician. This website is based upon the opinions of Rachel Toon, unless otherwise noted. Individual articles are based upon the opinions of the respective author, who retains copyright as marked. The information on this website is not intended to replace your primary care physician and is not intended as medical advice. It is intended as a sharing of knowledge and information from the research and experience of Rachel Toon and her viewers. Rachel Toon encourages you to make your own health care decisions based upon your research and in partnership with your primary care physician.